Here’s an interesting concept from designer Hanyoung Lee, the Virtual Wall Traffic lights. 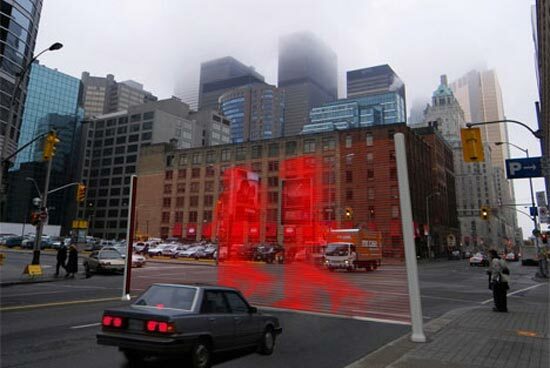 This concept certainly looks like it would get drivers attention a lot more than traditional traffic lights, as they would display a large virtual barrier across the road when the lights are red. 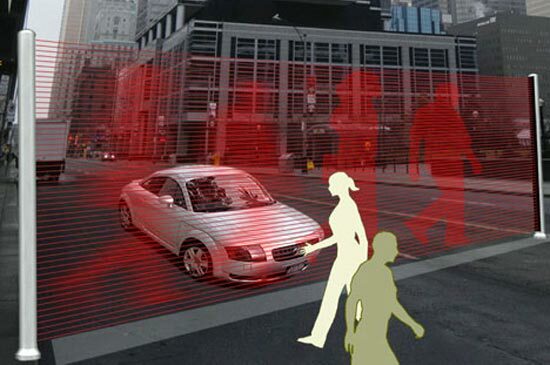 The barrier is made up of plasma laser beams which show virtual pedestrians in the road, letting drivers know to stop, it is defianetly a very clever concept, although I am not sure how practical it would be, I certainly could see some applications where it would work well such as zebra crossings.